The annual Medical Mission of Tapulanga Foundation was held at Our Lady of the Nativity Chapel in Hacienda Tinihaban I, Silay City last December 23. 124 children from Hacienda Tinihaban and neighboring communities received health checkups, basic medicines, and got donated toys and clothes. 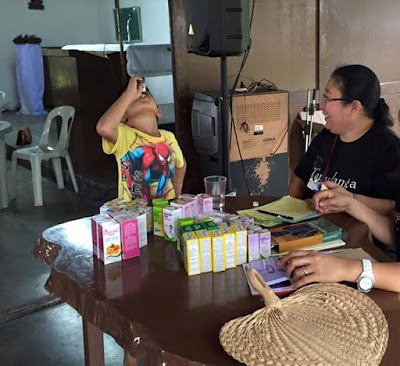 Deworming was also given to children from 2 to 10 years old. A big thanks to our volunteer physicians, Dra. Jo-an Ledesma-Millonado (president of Tapulanga Foundation), Dra. 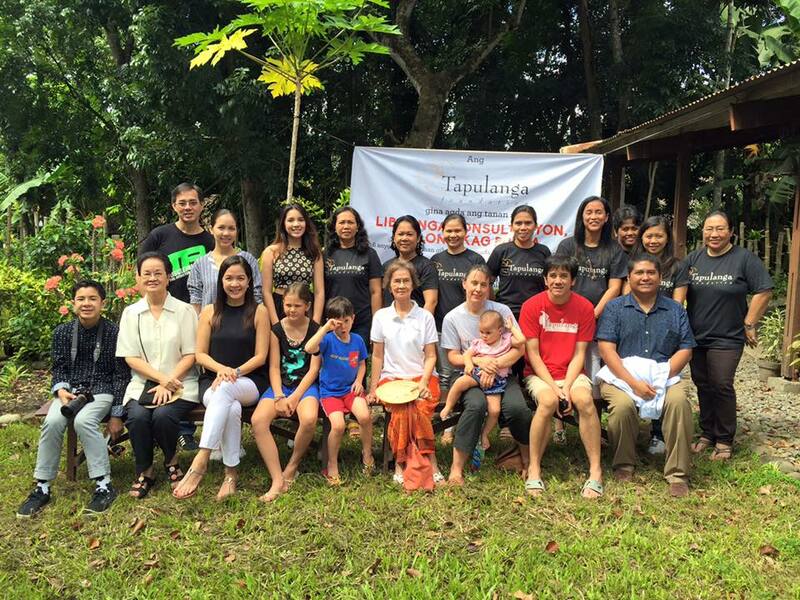 Kate Abello and Dr. Julius de la Cruz, school nurse Ms. Marissa Guadalupe and volunteer nurses Ms. Aerial Guadalupe and Ms. Jelaine Estardo who are both SFAS alumni. 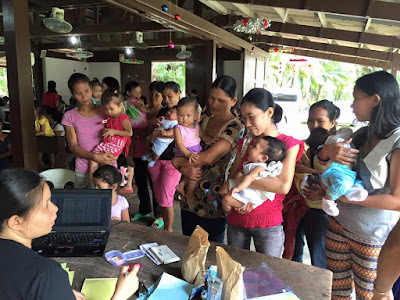 And big thanks to Westmont Pharmaceutical, Inc. who supported our mission once again thru their donation of medicines for cough, colds, fever, antibiotics and multivitamins. And to all who generously donated to the health care program during the Sharing Hope fundraiser in Maryland last November ... THANK YOU! 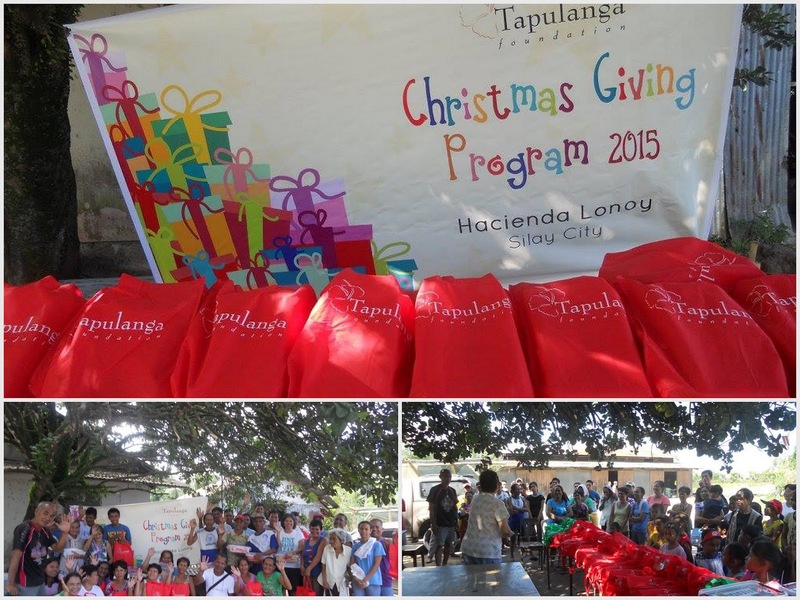 Tapulanga Foundation ended 2015 celebrating with our scholars through the Christmas Giving Program. 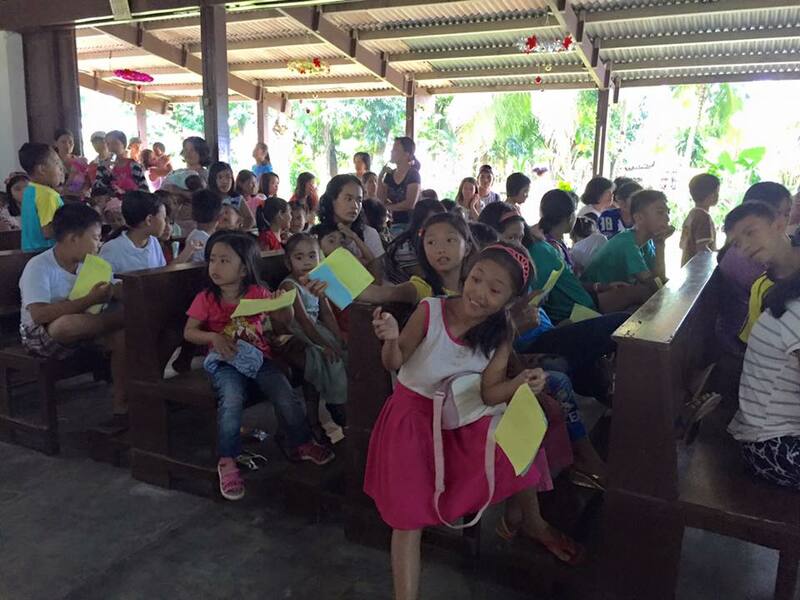 Blessed with more generous donors, the foundation extended the giving of toys and "noche buena" (Christmas Eve) packages to a neighboring public school and two farm communities. 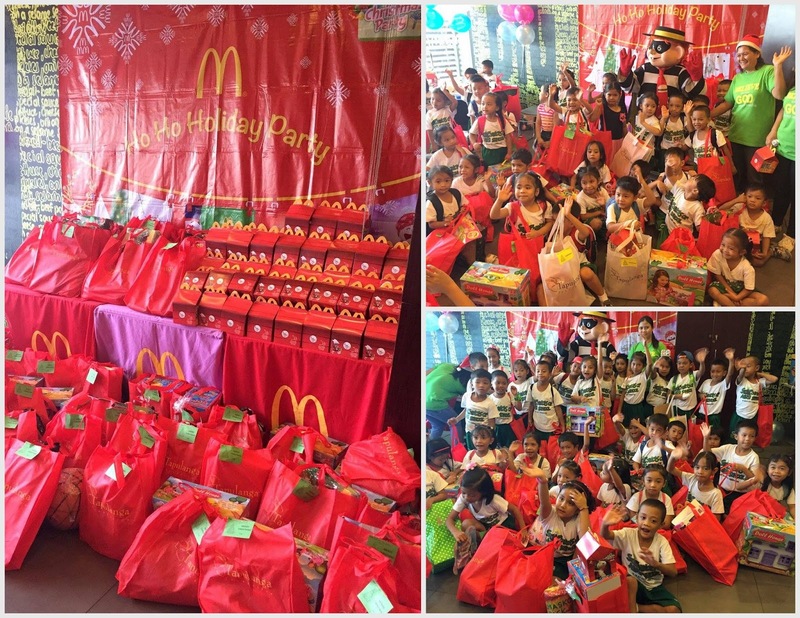 St. Francis of Assisi School of Silay City Preschool held their Christmas party at McDonald's North Drive branch in Bacolod City. 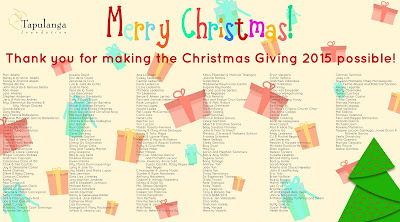 TF Christmas Giving at Cuaycong Elementary School, E.B. Magalona where 166 students (Kinder to Grade 6), teachers and staff received an eco-bag filled with a noche buena grocery. 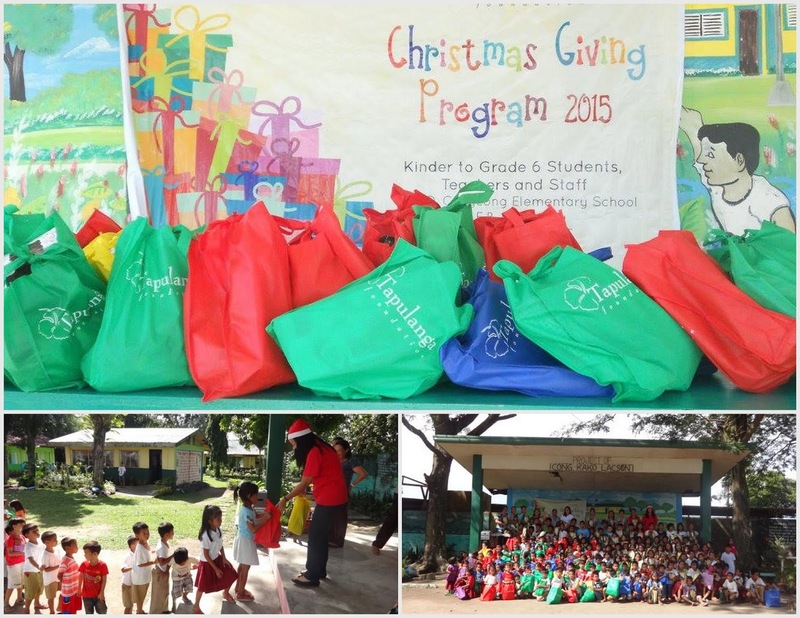 Kinder to Grade 3 students had a toy surprise inside their bag. 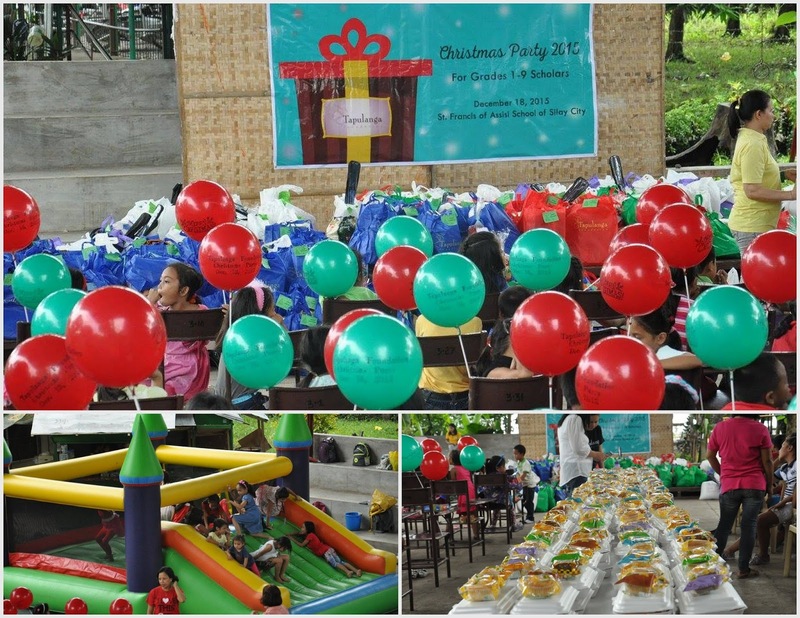 Tapulanga Foundation scholars from Grades 1 to 9 had their Christmas party at SFAS covered court. 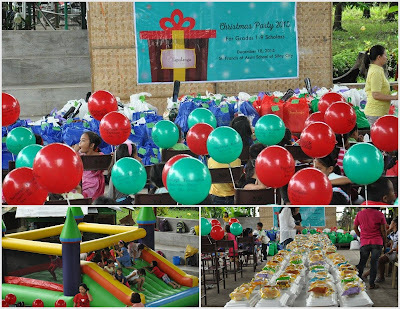 Games were prepared, kids played in inflatable balloon and trampoline, and snacks were served to all. TF donor, Mrs. Gina Gatuslao-Millan donated noche buena gift packs and ham to all the teachers and staff of the school and foundation as she celebrated her birthday that day. 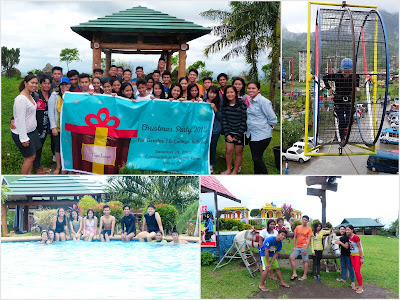 Grade 10 and college scholars went to Campuestohan Highland Resort in Talisay City. Everyone enjoyed rides including the Hamster Wheel, Sky Bicycle, Horseback Riding and Carousel. Some also went swimming and horseback riding. 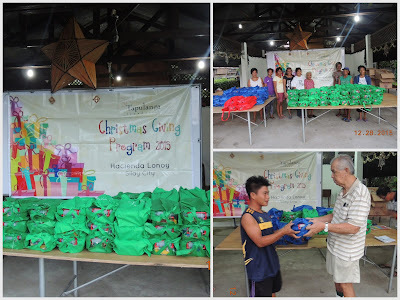 135 families of Hacienda Lonoy in Silay City were given noche buena packages. 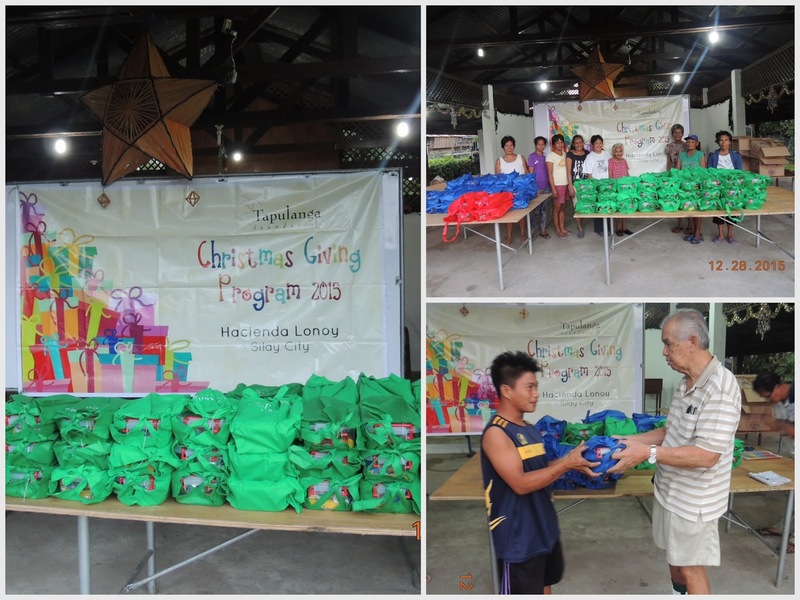 105 families of Hacienda Tinihaban in Silay City received noche buena gift packs. 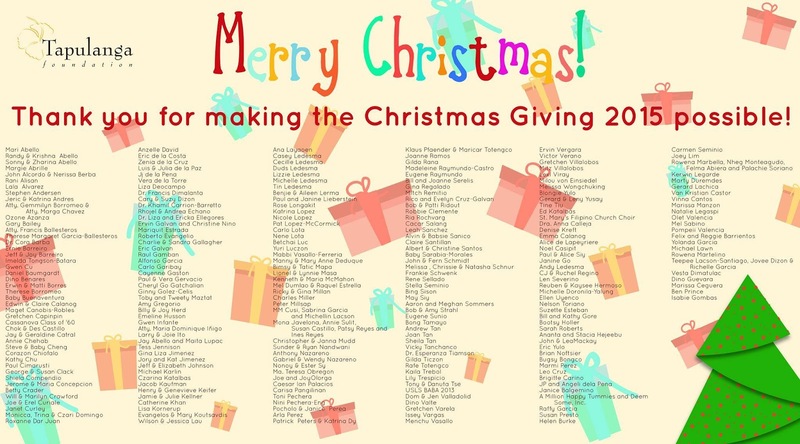 To our generous donors and everyone who made the Christmas Giving Program possible, THANK YOU! To view each album, please click here. Tapulanga Foundation held its 7th annual fundraiser entitled "Eat. Share. Love." last November 27 at the La Proa Hall, L'Fisher Hotel in Bacolod City. 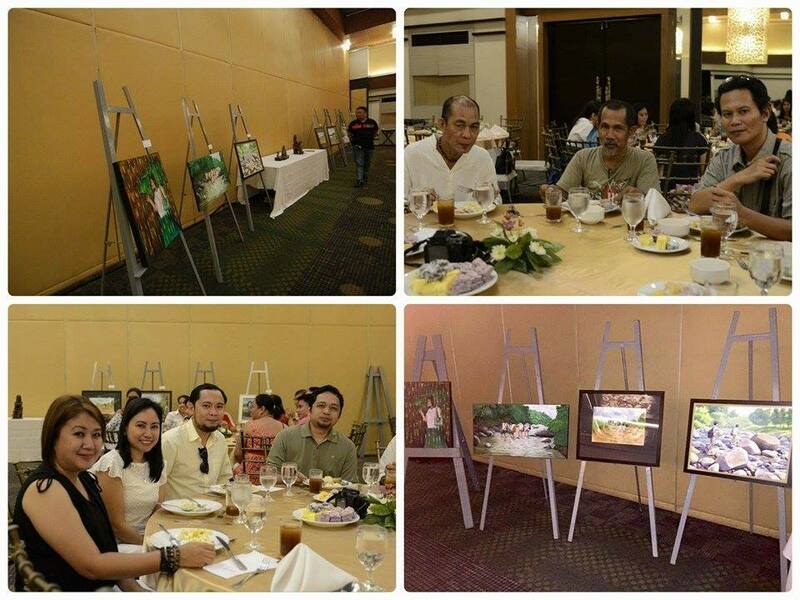 The Kansilay Visual Artists Society (KanVAS) displayed their artworks for sale along with other items for the silent auction. 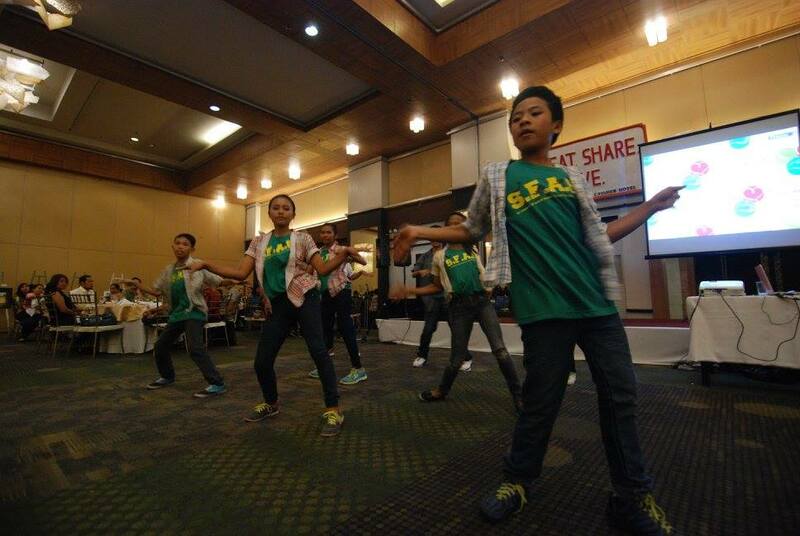 Grade 7 scholars entertained guests with a dance number. 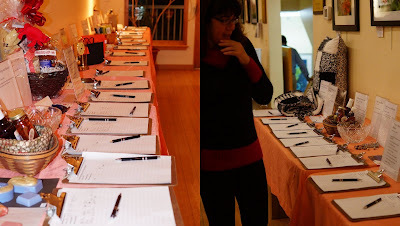 The highlight of the night was the silent auction. 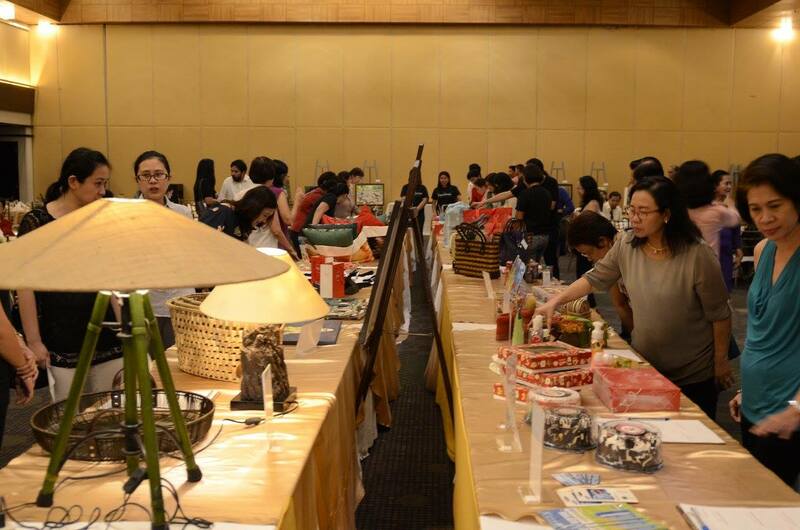 Many enjoyed bidding on over 100 items from toys, kitchenware, locally crafted and imported bags, shoes, lamps, paintings, home decors and gift certificates from hotels, restaurants, salon and spa. Proceeds of the fundraiser will go to the Senior Scholarship program of Tapulanga Foundation and the Sports Program of St. Francis of Assisi School of Silay City. 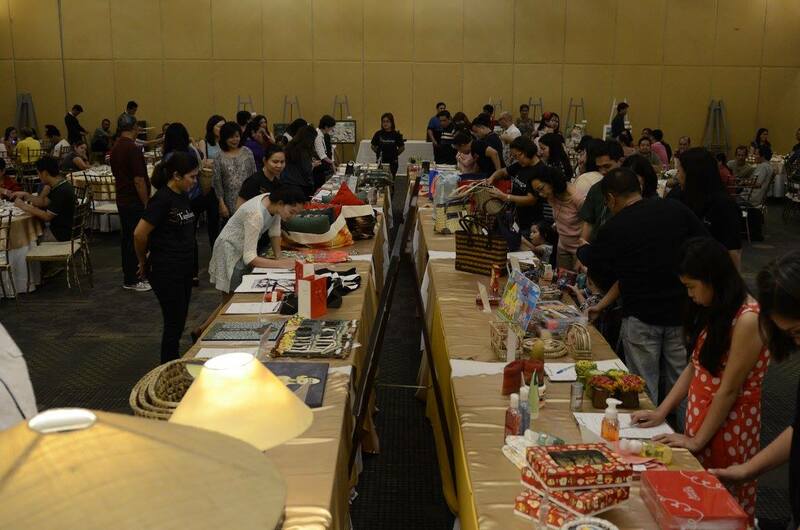 To everyone who supported, from all the sponsors to those who attended, a heartfelt THANK YOU! To view more photos, you may click here. Photo credits to Mr. Felix Querubin of St. La Salle - Bacolod Yearbook Office. 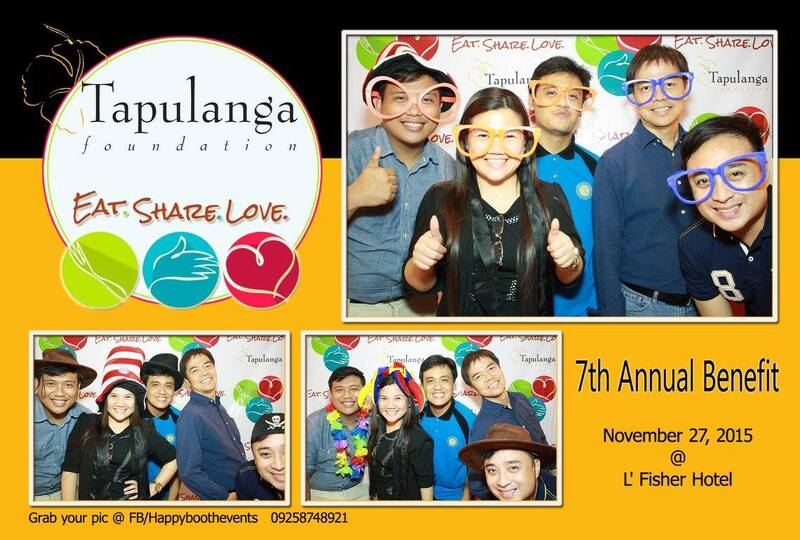 The 9th Annual Friends of Tapulanga Fundraiser (Sharing Hope) in Maryland last November 8, was a tremendous success. Over 100 guests enjoyed an evening of Filipino food, silent auction, raffle and updates on St Francis of Assisi School of Silay City. 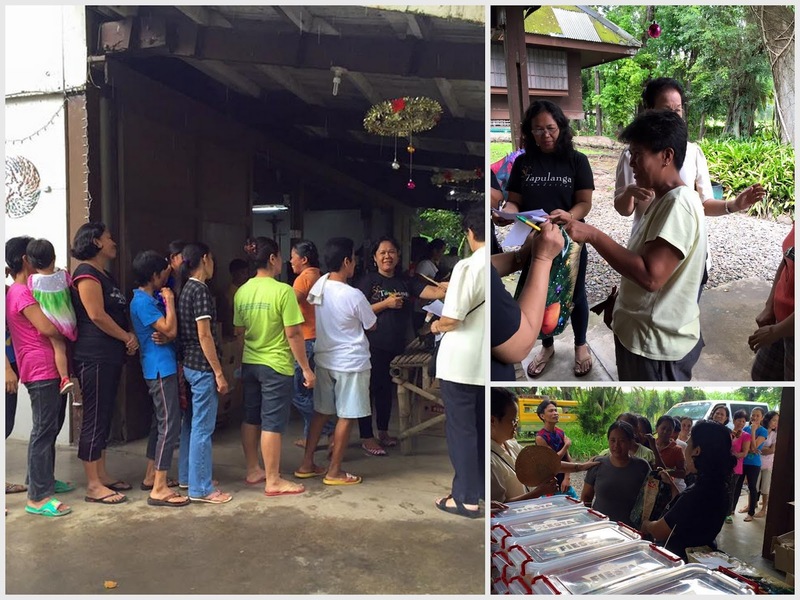 There were many faithful supporters who have attended every fundraiser since 2006. A few new guests were surprised to see a whole roasted pig! 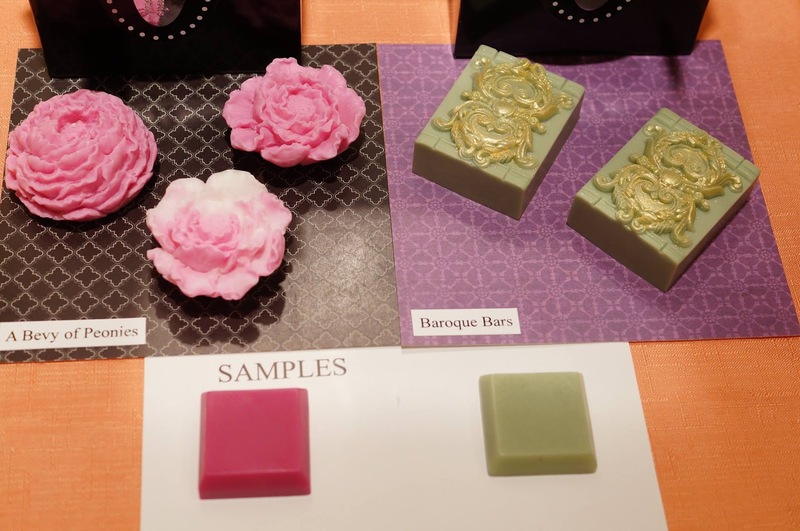 We had some wonderful donations this year… a beautiful hand made quilt, some great artwork, some unique handmade soaps, and lots of other remarkable items. The raffle was very successful… (the Kindle was won by Jim Siegel, Robert Graham won the other 2 prizes, an iPad Mini and a Microsoft Surface Pro 3 tablet which he decided to donate back for an impromptu live auction --- which was won by Rich Spiegel). We are truly blessed to have such an amazing group of supporters and volunteers, our sponsors (Katherine Taylor of Taylor Legal, Hoffman and Associates, and Akubo) and we especially thank Mr. Charles Miller who has generously supported us in making our event possible at the Howard County Conservancy.